Ashwagandha has been used to treat hundreds of medical conditions, promote longevity, and even improve our ability to resist stress. Of the over 400,000 different species of plants that share space with us on Earth, only 18,000 are used as medicine.Kew, R. B. G. (2016). The state of the world’s plants report–2016. Royal Botanic Gardens, Kew. Archaeological evidence suggests we’ve been using plants as medicine for the last 60,000 years, so we’ve had plenty of time to discover what works and what doesn’t. 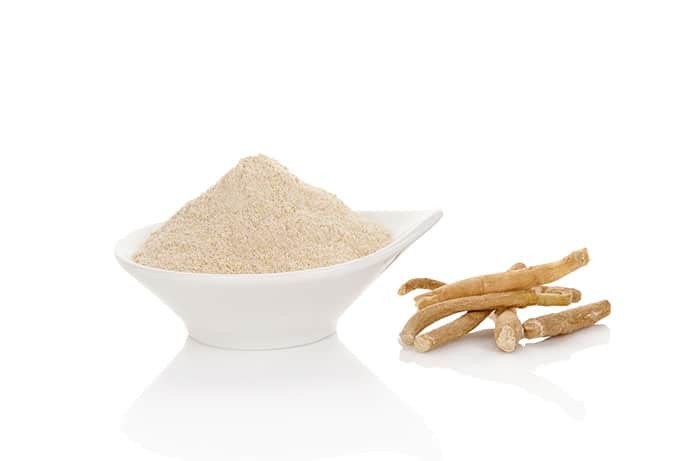 >> Looking to Buy Ashwagandha? Click here to see our recommended sellers. And there have been a few species that have risen above the rest time and time again as valuable plant medicines. Ashwagandha is the perfect example. 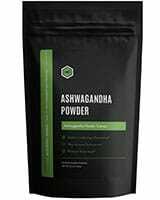 Ashwagandha is an ancient herb, with references dating as far back as 3000 years in India. Now, it is available all over the world and has become a common supplement for enhancing human health. 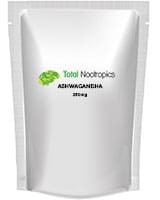 Ashwagandha (Withania somnifera) is a member of the tomato family. The root has been used to treat hundreds of medical conditions, promote longevity, and even improve our ability to resist stress. To this day, Ashwagandha is considered one of the most well-rounded herbal supplements on Earth. Ashwagandha appears to be especially useful in the treatment of conditions involving convalescence (weakness). 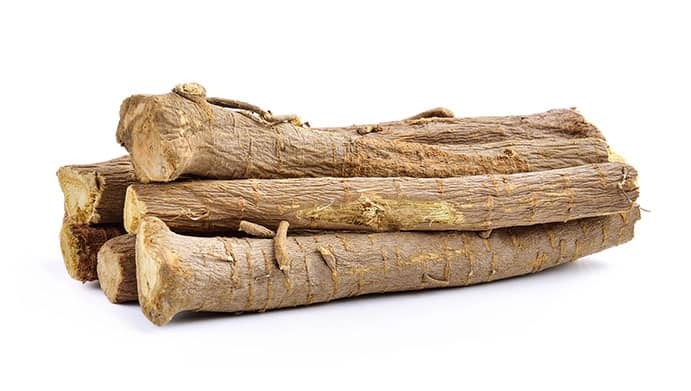 It has also traditionally been used to treat cardiovascular disease, fatigue, cancer, anemia, insomnia, infertility, and poor memory and concentration. Ashwagandha is commonly referred to as an adaptogen. But what does that mean? Traditional medical systems around the world each have their unique take on how the body works and how medicine is distributed. What nearly all systems have in common, however, is the idea that some plants don’t treat a specific condition; rather, they boost the body’s ability to facilitate its own recovery. We call these plants adaptogens. In traditional Chinese medicine, adaptogens are referred to as tonic herbs, and include well-known herbs such as ginseng and reishi. In Ayurveda, adaptogens are called Rasayanas, of which Ashwagandha is considered the queen. In modern terms, an adaptogen is defined as any herb or substance that improves the body’s ability to resist stress. We’re not talking about the stress you feel sitting in traffic. In medical terms, stress refers to anything that forces the body away from homeostasis (balance). When we’re unable to maintain this balance, we become sick. Stress is a lot more complicated than its made out to be. There are many different types of stress the body can experience, but regardless of its cause, the most common response to stress, is the release of a hormone known as cortisol. Cortisol is what causes the “fight or flight” response. It forces sugar into the bloodstream to give us a boost of energy. It speeds up our heart rate and increases our blood pressure to get more oxygen to our muscles. It turns down all organ systems that aren’t immediately necessary (such as the digestive, immune, and renal systems). In the short term, this is a useful reaction. It helps us either fight our way out of a difficult situation or escape it entirely by running away. 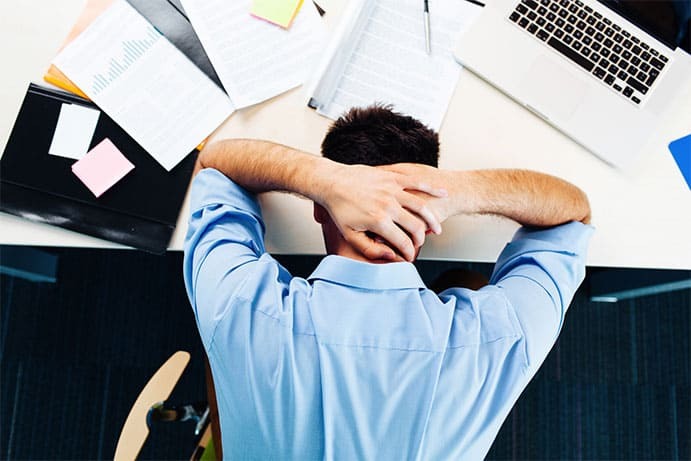 However, if we’re stressed for too long, as is common in the modern workforce (high workloads, tight schedules, financial insecurity, etc), it can have profoundly negative effects on our health. Long-term stress can suppress our immune system, change the balance of our metabolism, and disable our digestive function. The results may include chronic fatigue, allergies and autoimmune disorders, inflammatory bowel disease, cardiovascular disease, and diabetes. Stress can have profoundly negative effects on our health. Ashwagandha is an adaptogen in every sense of the word. It improves the body’s response time to changes in the environment, allowing us to resist any stressors that come our way, whether emotional or physical. For this reason, it’s used alongside other herbs in traditional medicine for a multitude of different conditions. In modern herbalism, Ashwagandha is used to ameliorate the negative effects that come along with our highly stressed lifestyles. When we work until exhaustion everyday and suffer from financial and relationship stresses, it doesn’t take long before we hit the wall and burn out. Enter Ashwagandha. It regulates cortisol release, improves immune function, and helps our body return to its ideal balance. 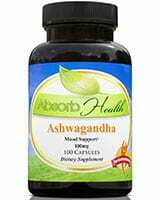 Ashwagandha offers profound benefits in alleviating some of the more serious manifestations of stress, including anxiety. In a double-blind, placebo-controlled study involving 39 patients suffering from anxiety, Ashwagandha was shown to significantly reduce both the severity and frequency of anxiety attacks after 6 weeks.Andrade, C., Aswath, A., Chaturvedi, S. K., Srinivasa, M., & Raguram, R. (2000). A double-blind, placebo-controlled evaluation of the anxiolytic efficacy ff an ethanolic extract of withania somnifera. Indian journal of psychiatry, 42(3), 295. Numerous animal and human studies have shown that Ashwagandha reduces cortisol levels. Mice given Ashwagandha were shown to maintain normal cortisol levels despite being subjected to high-stress activities (forced swimming).Sharma, S., Dahanukar, S., & Karandikar, S. M. (1985). Effects of long-term administration of the roots of ashwagandha and shatavari in rats. Indian drugs, 29, 133-139. 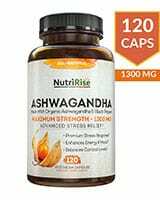 In humans, a daily dose of 125 mg Ashwagandha extract was shown to reduce cortisol, CRP (a measure for inflammation), and blood pressure in chronically stressed participants.Singh, N., Singh, S. P., Nath, R., Singh, D. R., Gupta, M. L., Kohli, R. P., & Bhargava, K. P. (1986). Prevention of urethane-induced lung adenomas by Withania somnifera (L.) Dunal in albino mice. International journal of crude drug research, 24(2), 90-100. The patients in this particular study also reported improvements in anxiety and perception of stress. Ashwagandha also affects our metabolism, which comes to no surprise when you consider the fact that our metabolism is a key element of homeostasis. Any issues in regulation of metabolism can lead to significant health problems long-term. One of the best ways to measure how our metabolism is working is by looking at blood sugar levels. High blood sugar is a clear indication that our body is losing control over our metabolic balance. It can involve dysfunction of several organ systems including the liver, intestines, pancreas, and brain. Eventually, this can lead to more serious problems such as diabetes and heart disease. Ashwagandha has been shown to offer significant improvements in this regard. One study showed a 12% reduction in blood sugar levels in type 2 diabetics receiving Ashwagandha.Andallu, B., & Radhika, B. (2000). Hypoglycemic, diuretic and hypocholesterolemic effect of winter cherry (Withania somnifera, Dunal) root. Indian J Exp Biol. 38, 607-609. Ashwagandha has been shown to significantly improve in blood sugar regulation in type 2 diabetics. reduce tumor size in mice Singh, N., Singh, S. P., Nath, R., Singh, D. R., Gupta, M. L., Kohli, R. P., & Bhargava, K. P. (1986). Prevention of urethane-induced lung adenomas by Withania somnifera (L.) Dunal in albino mice. International journal of crude drug research, 24(2), 90-100.Devi, P. U., Sharada, A. C., Solomon, F. E., & Kamath, M. S. (1992). In vivo growth inhibitory effect of Withania somnifera (Ashwagandha) on a transplantable mouse tumor, Sarcoma 180. Indian journal of experimental biology, 30(3), 169-172.Devi, P.U., Sharada, A.C., Solomon, F.E. In vivo growth inhibitory and radiosensitizing effects of withaferin A on mouse Ehrlich ascites carcinoma. Cancer Lett 1995;95:189-193.
protect the brain from oxidative damage Bhattacharya, S. K., Satyan, K. S., & Chakrabarti, A. (1997). Effect of Trasina, an Ayurvedic herbal formulation, on pancreatic islet superoxide dismutase activity in hyperglycaemic rats. Indian journal of experimental biology, 35(3), 297-299.
modulate immune function Ziauddin, M., Phansalkar, N., Patki, P., Diwanay, S., & Patwardhan, B. (1996). Studies on the immunomodulatory effects of Ashwagandha. Journal of ethnopharmacology, 50(2), 69-76.
increase white blood cell production Davis, L., & Kuttan, G. (1998). Suppressive effect of cyclophosphamide-induced toxicity by Withania somnifera extract in mice. Journal of ethnopharmacology, 62(3), 209-214.
reduce insomnia and hyperactivity Malhotra, C. L., Mehta, V. L., Das, P. K., & Dhalla, N. S. (1965). Studies on Withania-ashwagandha, Kaul. 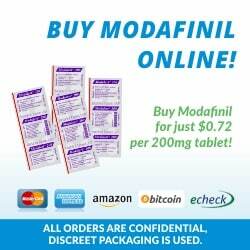 V. The effect of total alkaloids (ashwagandholine) on the central nervous system. Indian journal of physiology and pharmacology, 9(3), 127.
regulate thyroid function Panda, S., & Kar, A. (1997). Evidence for free radical scavenging activity of Ashwagandha root powder in mice. Indian journal of physiology and pharmacology, 41, 424-426. Ashwagandha is one of the most popular herbs in history. It was included as a Rasayana (adaptogen) in some of the oldest medicinal texts ever discovered, primarily in the Ayurvedic medical system of India. It has since spread outwards from India and is now used around the world by professionals and the general public alike. Ashwagandha is popular for its ability to regulate homeostasis (balance) and reduce stress levels. In a world full of deadlines and high expectations, both at work and in your personal life, ashwagandha remains one of the most useful herbal supplements of the modern era. Originally posted on August 10, 2018, last updated on December 7, 2018. 1. ↑ Kew, R. B. G. (2016). The state of the world’s plants report–2016. Royal Botanic Gardens, Kew. 2. ↑ Andrade, C., Aswath, A., Chaturvedi, S. K., Srinivasa, M., & Raguram, R. (2000). A double-blind, placebo-controlled evaluation of the anxiolytic efficacy ff an ethanolic extract of withania somnifera. Indian journal of psychiatry, 42(3), 295. 3. ↑ Sharma, S., Dahanukar, S., & Karandikar, S. M. (1985). Effects of long-term administration of the roots of ashwagandha and shatavari in rats. Indian drugs, 29, 133-139. 4, 6. ↑ Singh, N., Singh, S. P., Nath, R., Singh, D. R., Gupta, M. L., Kohli, R. P., & Bhargava, K. P. (1986). Prevention of urethane-induced lung adenomas by Withania somnifera (L.) Dunal in albino mice. International journal of crude drug research, 24(2), 90-100. 5. ↑ Andallu, B., & Radhika, B. (2000). Hypoglycemic, diuretic and hypocholesterolemic effect of winter cherry (Withania somnifera, Dunal) root. Indian J Exp Biol. 38, 607-609. 7. ↑ Devi, P. U., Sharada, A. C., Solomon, F. E., & Kamath, M. S. (1992). In vivo growth inhibitory effect of Withania somnifera (Ashwagandha) on a transplantable mouse tumor, Sarcoma 180. Indian journal of experimental biology, 30(3), 169-172. 8. ↑ Devi, P.U., Sharada, A.C., Solomon, F.E. In vivo growth inhibitory and radiosensitizing effects of withaferin A on mouse Ehrlich ascites carcinoma. Cancer Lett 1995;95:189-193. 9. ↑ Bhattacharya, S. K., Satyan, K. S., & Chakrabarti, A. (1997). Effect of Trasina, an Ayurvedic herbal formulation, on pancreatic islet superoxide dismutase activity in hyperglycaemic rats. Indian journal of experimental biology, 35(3), 297-299. 10. ↑ Ziauddin, M., Phansalkar, N., Patki, P., Diwanay, S., & Patwardhan, B. (1996). 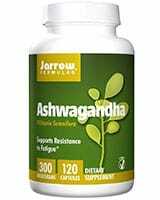 Studies on the immunomodulatory effects of Ashwagandha. Journal of ethnopharmacology, 50(2), 69-76. 11. ↑ Davis, L., & Kuttan, G. (1998). Suppressive effect of cyclophosphamide-induced toxicity by Withania somnifera extract in mice. Journal of ethnopharmacology, 62(3), 209-214. 12. ↑ Malhotra, C. L., Mehta, V. L., Das, P. K., & Dhalla, N. S. (1965). Studies on Withania-ashwagandha, Kaul. V. The effect of total alkaloids (ashwagandholine) on the central nervous system. Indian journal of physiology and pharmacology, 9(3), 127. 13. ↑ Panda, S., & Kar, A. (1997). Evidence for free radical scavenging activity of Ashwagandha root powder in mice. Indian journal of physiology and pharmacology, 41, 424-426.